Passages to the Past has received some awesome awards lately from some equally awesome bloggers and I would like to acknolege them and pass on the love! 1. I watch Seinfeld way too much. 2. Drivers on cell phones drive me cah-rah-zee! Hang it up people, you're not driving a phone booth! 3. The love I have for my husband could stretch beyond the moon and back again an infinite amount of times. 4. I dislike turkey for Thanksgiving (we're having Crab legs this year). 5. I think that people who beat animals or kids should be shot on the spot (Michael Vick got off way too light in my opinion). 6. I am SO excited that a new season of The Closer is starting in a few weeks. 7. One of my life goals is to learn how to play the piano. 8. I am an only child. 9. To work in forensics is one of my dream jobs. 10. My first job was at a grocery store called Publix. 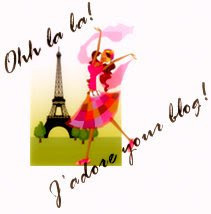 ■ Each Blogger who wins The Superior Scribbler Award must visit this post and add his/her name to the Mr. Linky List. That way, we’ll be able to keep up-to-date on everyone who receives This Prestigious Honor! 2. Bookmarks or dog ears? Bookmarks baby! 5. Book borrower or book collector? Definitely a collector! So, thanks again to all of the bloggers who awarded me - I really appreciate it! And congrats to all of my awardees. Please note that if you've already received the award, don't feel obligated to post it again! Thanks so much for the award Amy! Well crap....how did I miss this? Well, let's be honest....I'd miss a freight train rumbling thru the room these days. ha. Thanks, Amy....you're such a sweetie! Wow!!! Thanks sooooo much! I'll post about this soon. Thanks so much for thinking of me -- you are the best. Have I told you how much I love your new look? !